Body Beast Equipment. What Your Gonna Need to Gain Mass! This is the Body Beast Equipment Your Gonna Need to… GAIN MASS… Get BIG…. Add 10 lbs of Lean Muscle! Beachbody will introduce an EZ Curl Bar with weight plates and a flat/incline bench with the launch of Body Beast. Click here to check out the Body Beast Workouts, Equipment, and Supplements. Also, in the following video, Sagi Kalev talks about supplements and Body Beast Equipment……….. If you haven’t yet read my other blog posts with information about the new Body Beast workout, check below under Related Articles. We also have an Exclusive Offer for Body Beast. Get a FREE Bonus workout ($20 value) only when you buy Body Beast from Extremely-Fit.com. As you know, I’m an official Beachbody retailer. As my customer, you get incentives… reduced shipping rates, a bonus DVD that is not offered elsewhere, and a free coach to ask questions about fitness and nutrition. PreviousBody Beast Video! Just Released! Official Body Beast Preview! NextCan I Have a Cheat Meal? Cheat Meal or Cheat Day? Stream Beachbody Workouts, Download P90X – Download Insanity & More! Body Beast Video! Just Released! 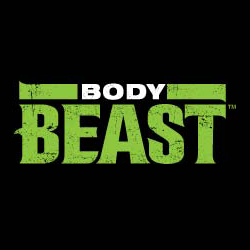 Official Body Beast Preview!